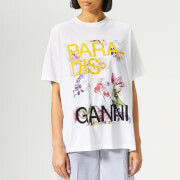 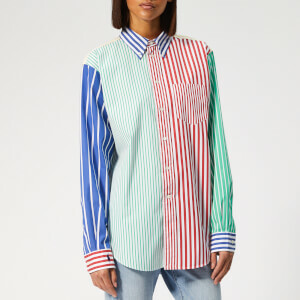 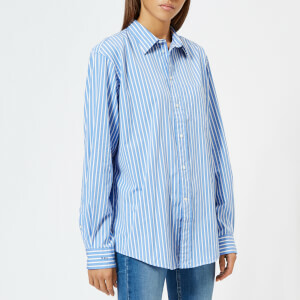 Women's 'Caico' striped shirt from Scandinavian fashion label, Samsoe & Samsoe. 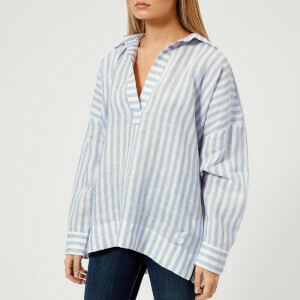 Crafted from soft woven cotton, the shirt is designed with a white and blue vertical striped pattern and a concealed button placket. 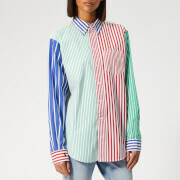 Complete with a curved drop back hem, button cuffs and a rear centre box pleat.